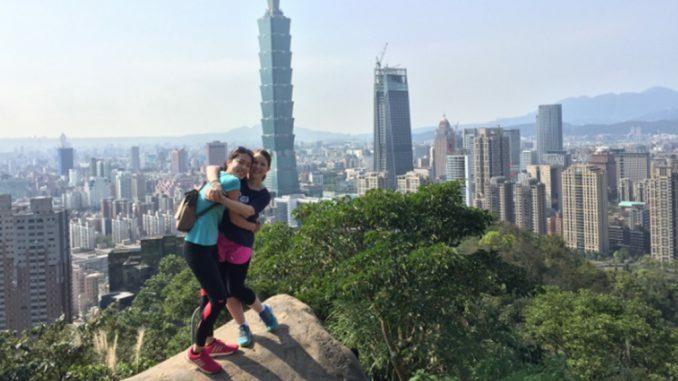 Vanessa Havens, MBS student in the Master Sports Business and Communication program, spent her semester abroad at National Taiwan Sports University (NTSU) in Taipei. Here, she talks about her experiences. 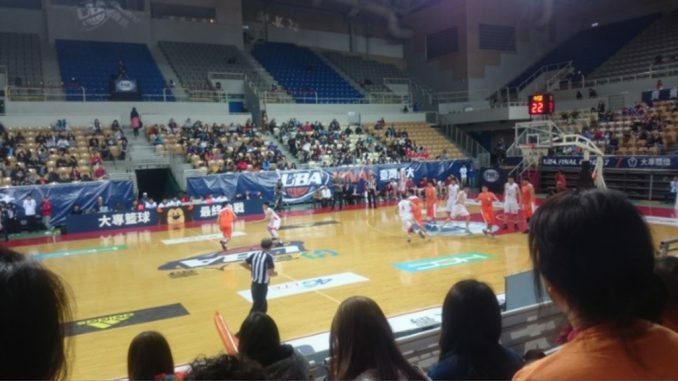 The National Taiwan Sports University is located a little bit outside of the city of Taipei. Luckily, I came during the right time, because the MRT (like metro or U-Bahn) just outside of school (maybe a 15-minute walk from the student dorm) just opened. The school has around 2,000 students, most of them study in physical education, which also means they train here for competitions and some of them even went to the Olympic games already. 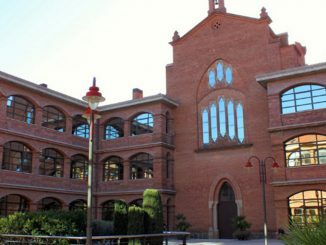 The courses we took are all in the main building (Administration and Teaching building), which consists of three individual buildings, which are all connected. The rooms are all well-equipped, just like you know it in Germany (with projector, individual computers, air conditioner etc.). Classes start in the morning or in the afternoon, but during noon is always a break, which they take seriously here. In one building you can find a fitness center, which is free to use every day from 12:30 to 4:30. After that you need to sign up for a membership. Also inside this building is a badminton court, which you can use, if you bring your own racket and feather balls. Also on campus located is the library, which also has English literature to read, a 7/11, which you rely on every day (! ), mainly to get your lunch or dinner, a cafeteria and also a gym. The sport facilities are in decent shape. The NTSU team competes vs the National Taiwan Normal University (NTNU) team in the University Basketball League. Also on campus is the student dorm, which is separated for men and women. You have to share the rooms with one roommate. This is common in Taiwan, though. The rooms consist of basic things, like a bed, a desk, some cupboards and a big closet. Another shelf is just outside of the room, where people keep their shoes, but also their bathroom supplies. The bathroom is on the floor and is shared. As well as the kitchen and the fridge. As long as you mark your own food, nobody will take it. The cleaning lady comes daily to clean the most basic things and once a week she cleans the facilities thoroughly. The only thing, which is missing in the rooms is a heater, but you won’t need it as much as the air conditioner. In winter times when the temperature drops down to 8 degree (that was the lowest I’ve experienced) you just need to wear some warm clothes. During my time in Taiwan I only had to take three courses. Since there were only three offered in English language it wasn’t too hard to choose. 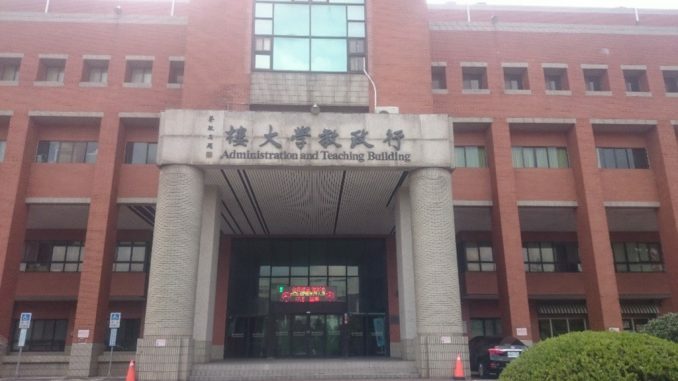 Even though they have a lot of international students here, you can’t expect everything to be taught in English, because a lot of students who come here already know at least a little bit Chinese. I also experienced it in one of my classes where the presentation was in Chinese, the teacher translated it into English, so I could understand. I especially liked the courses, where we connected theoretical with practical knowledge. 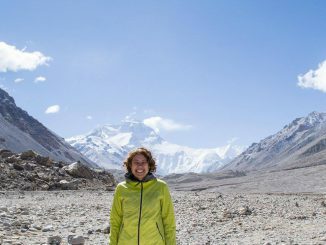 For example, in one course “The study of outdoor leadership” we actually went on trips to practice our gained knowledge. The relationship with the teachers is on a personal level. I experienced this when one teacher invited me to lunch. Their doors are (almost) always open, if you have any questions, concerns etc. They are really interested in your well-being and your personal life. This is something I had to get used to in the beginning, since our private life is less exposed in Germany. The classes are small with only up to 9 people. This is maybe because my courses are in English, though. I also took a Chinese class, which was twice a week. For me it was about showing my appreciation to these people for all the help they offered me. We were only three students, so it was a good learning atmosphere. The first thing I noticed was that food plays a crucial role in Taiwan. Never would they miss a meal! Breakfast, lunch and dinner are always a topic to talk about or to spend some time with people. All the meals will be hot. If you tell them you eat bread or cereal in the morning they won’t understand that. If you meet the people during the day usually one of the first questions you hear will be: “Did you have your breakfast/lunch?”. It’s like a “how are you” in Germany. Even if you didn’t eat anything you can just say yes, because if you say no they will think that you feel uncomfortable (again food is really important here). 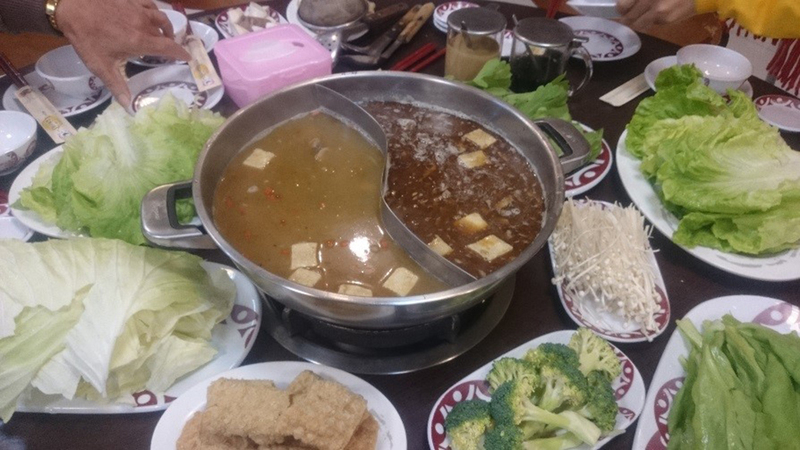 A typical Taiwanese Hot Pot menu. Also since there is no opportunity to really cook on campus, you usually go out to eat. It is really cheap there. For a whole meal, you never pay more than 5 or 6 Euro and this applies already to normal restaurants. You can get a decent lunch for only 70 NT Dollar (about 2,50 Euro). It is different than in Germany, as you get your food in under ten minutes. It is fast and convenient to get something to eat. Also, the outside doesn’t matter. Some places might look used up, but serve really tasty food. One hint: If the line is long, it is usually worth waiting for it. The Taiwanese take their shower in the evening before they go to sleep, not in the morning. Until now I couldn’t find out why. In the student dorm it doesn’t matter when you take it, because the water is always hot. If you stay in a different (more private) place, make sure to ask for that, unless you like cold showers. As you might have seen it in movies, this is true: Before entering a house, an apartment or even a room in student dorm you must take your shoes off. This applies also for some rooms in the school (for example the room, where they keep the gear for outdoor activities). Usually the people offer you a pair of slippers they have for guests. One thing I have to mention: Taiwanese people are the friendliest people I have ever met. The students will help you with whatever problem you have. If you are open, they will show you around, take you to places, order food for you (because in most restaurants they don’t have an English menu), etc. You can always text them if you need anything, they love to help you. At the same time, they make you feel like you are the nicest person on earth. If you learn a few Chinese words, they really appreciate it. They are always surprised when a foreigner speaks Chinese. I can definitely recommend this university to everybody. The atmosphere is great for learning, making friends, exercise and also get to know the culture. With the MRT and the busses it is no problem to explore the city during your free time. If you are by yourself I am sure you can find students who can go with you. Some of them might be shy in the beginning, because they are afraid to speak English even though their language skills are fine. Just give them some time, be open and also don’t get upset if it takes a little longer for them to answer you. So far I only regret one thing: That I decided to come here for only one semester.